My slow cooker beef hanger steak recipe is one of my original recipes and it took several tries to perfect it so I’m going to gloat over it while patting myself on the back. 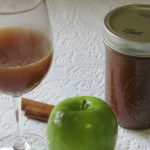 I created it specifically for a recipe contest that I hope to win. Got skills in the kitchen? 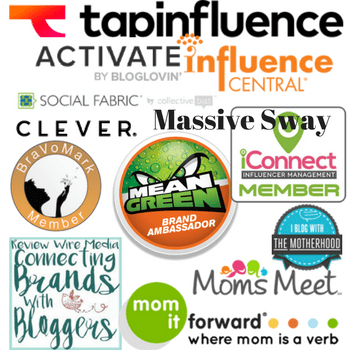 You too can enter for a chance to win a KitchenAid multi-cooker and more. I <3 KitchenAid products as I’m sure you already know if you’ve read some of my KitchenAid product suggestions. I don’t have their multi-cooker but I need it. I do. I can think of tons of recipes I can use in it. I’ve been dreaming of it every since I found out about this contest. I’ve even made room on my counter (just in case, lol, and yes I did). 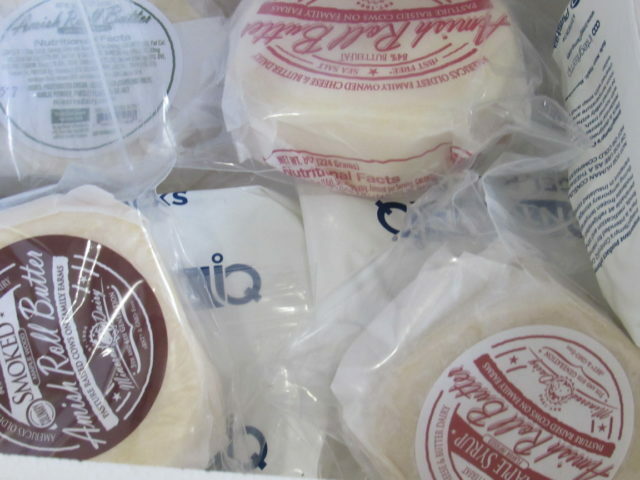 There’s going to be 5 lucky winners PLUS each winner will receive a year supply of my new favorite butter brand; Minerva Dairy Amish Roll Butter. My recipe calls for beef hanger steak but you can use a substitute as I had to for my recipe trials. I wasn’t going to mess up my beef hanger steak if the recipe didn’t taste as good as I hoped it would. 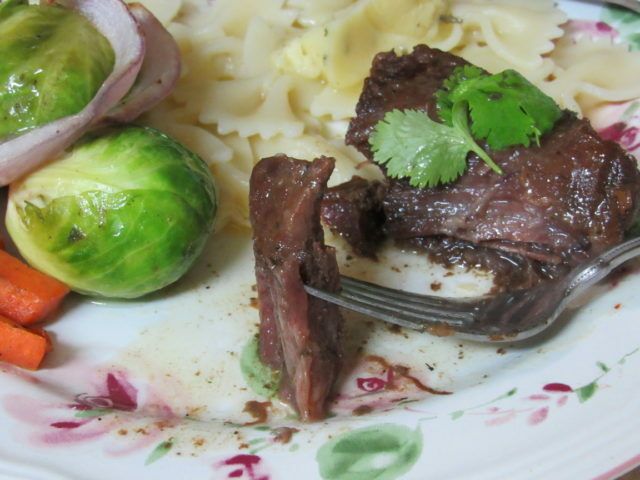 Unfortunately for me, it’s not easy to find beef hanger steak in my area which is why I saved it for my final recipe. I have to order it online (butcherbox) and thank goodness they ship fast. 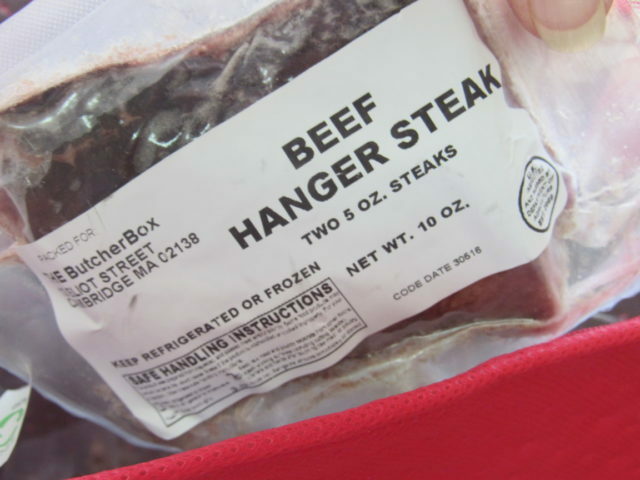 Hanger steak is a prized cut and is very popular with chefs because of its flavor. Bribe your local butcher to sell you some if nothing else because he or she probably won’t give up this cut of meat without getting their favorite cake or pie in exchange. Just saying. It’s usually a butchers favorite cut of meat so it’s going to take some negotiating (there’s only one hanger steak per cow). For my recipe, you’ll need 4- 5 oz hanger steaks. I use butter in so many of my recipes but I can promise you that from the very first taste of Minerva Dairy Amish Roll Butter, my life changed. My recipes changed. Life in my kitchen became butterly delicious. It’s because of this butter that I heard about this contest (read about it is more accurate). I made sure I had everything I needed for my recipe in time to enter including Minerva Dairy Garlic Herb Amish Roll Butter. When you’ve got hanger steak and Minerva Dairy Amish Roll Butter, you’ve got the makings for a meal fit for the queen or king. I kid you not. Get ready for a culinary experience that your taste buds will never forget. I can’t wait to hear your thoughts on my recipe and it’s okay, I can take critism if you don’t like it. I love good fun competition and want to encourage you to create or share your own slow cooker recipe so you can enter the Slowest Recipe Contest on the Minerva Dairy website as well. 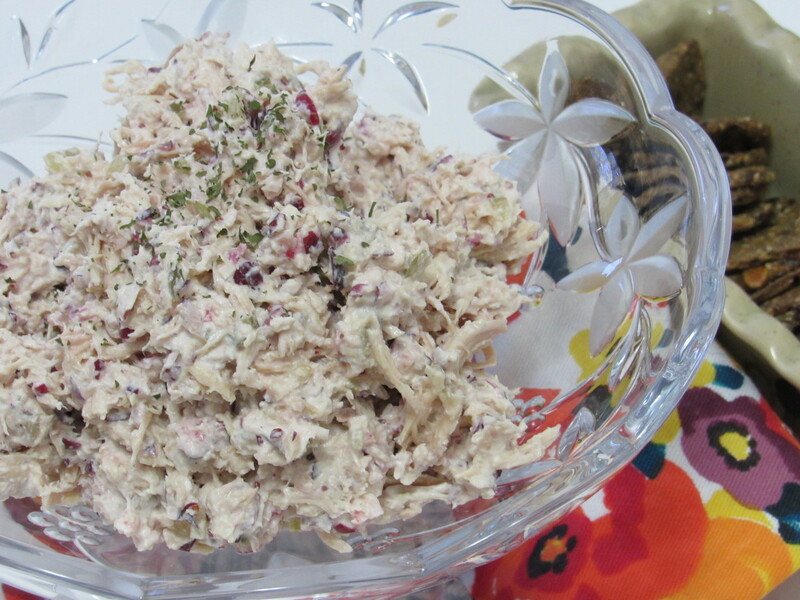 The contest ends at the end of this month so you have time to play around with a recipe like I did. 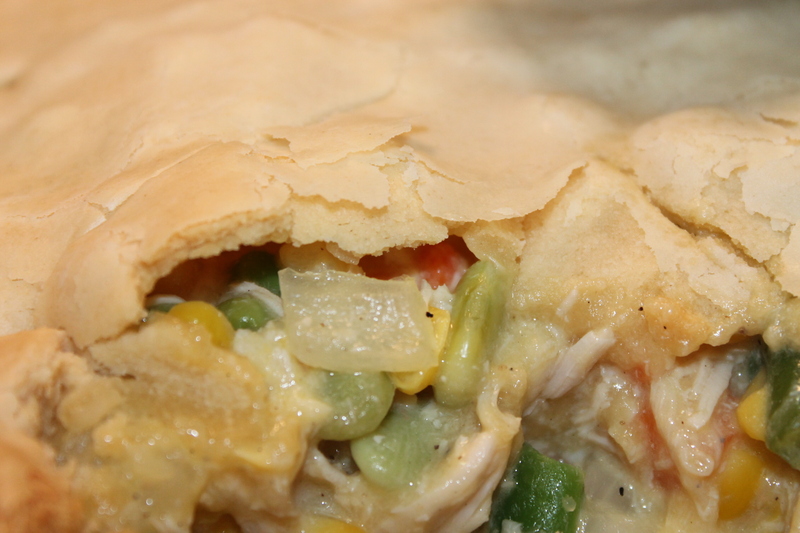 You’ll want it to be perfect right down to each and every ingredient. Sear both sides of the hanger steak in a frying pan with 2 Tablespoons olive oil. 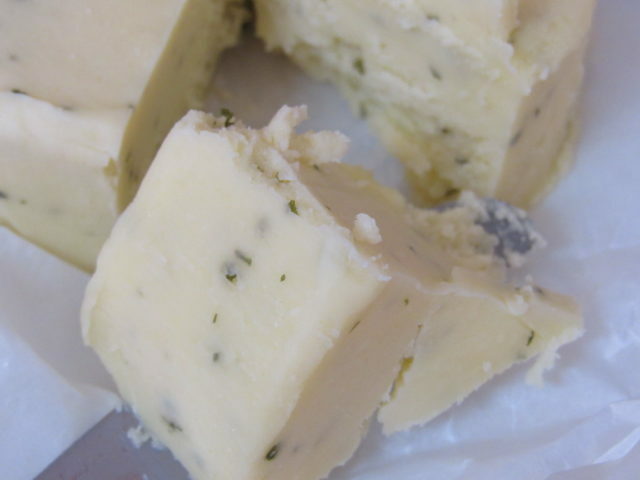 Turn crock pot on high and add 1 Tablespoon Minerva Dairy Garlic Herb Amish Roll Butter to the crock pot. While it’s melting, keep turning your prized beef hanger steak in the frying pan. 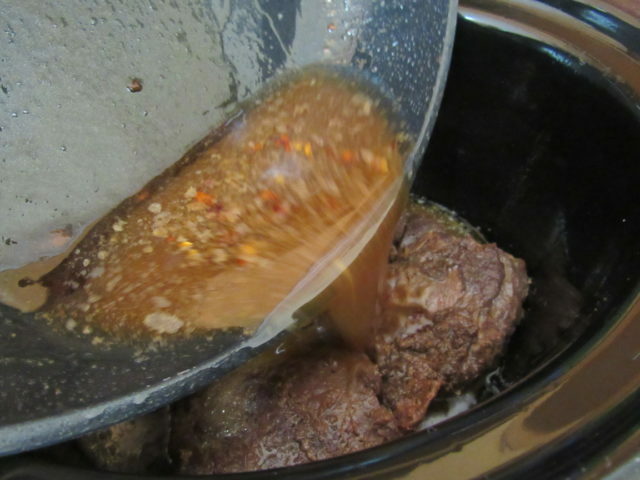 Move steak to the crock pot when butter has melted. Add the following ingredients to the drippings in the frying pan; 1/4 teaspoon red pepper, 2 Tablespoons brown sugar, 1/4 cup cooking sherry, and fresh cilantra. Don’t add salt at this time, the butter is flavored wonderfully and you probably won’t need any. I left it off as well as black pepper. Heat for 5 minutes on medium heat, then pour over beef hanger steak in the crock pot. Cook on high for 2 hours. Top off steaks with butter and fresh cilantro mixture. 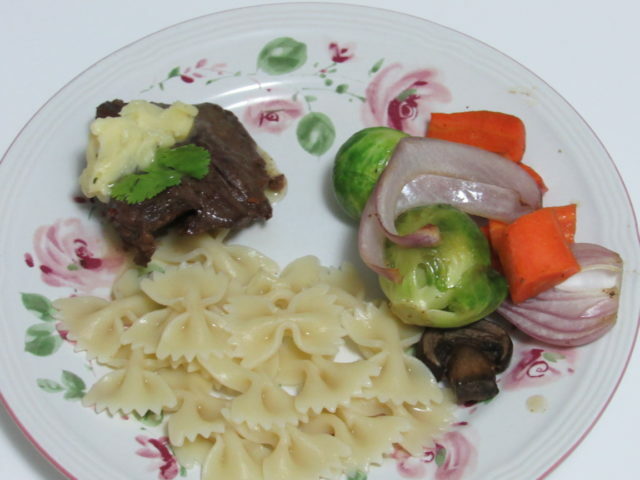 Serve with bow tie pasta and roasted vegetables (I added my veggies to the frying pan I seared the steak in because we’re not trying to mess up all the dishes with this meal). Eat, drink and be merry for tonight you’ll fall in love with your slow cooker all over again. 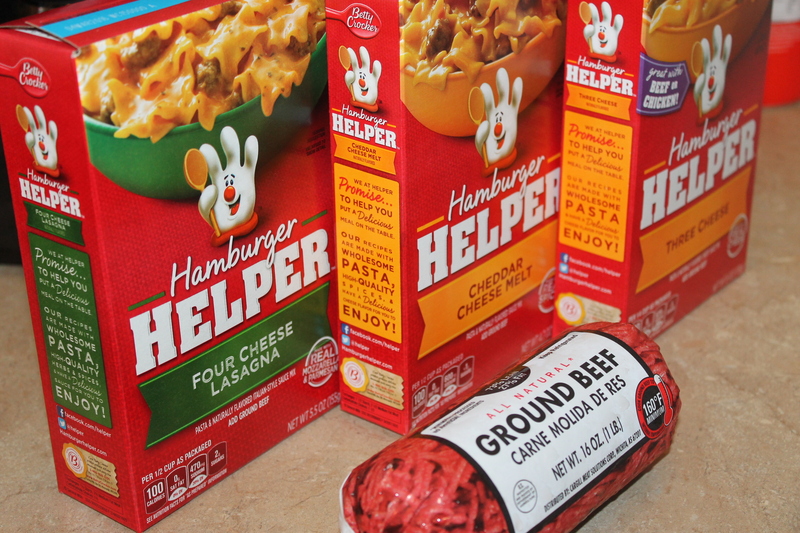 Click here to enter for a chance to win a KitchenAid multi-cooker and a year supply of Minerva Dairy Amish Roll Butter. Good luck on the recipe contest. I’m hoping that if I don’t win that at least one or more of my readers/followers will win it. You had me at the title of the recipe! 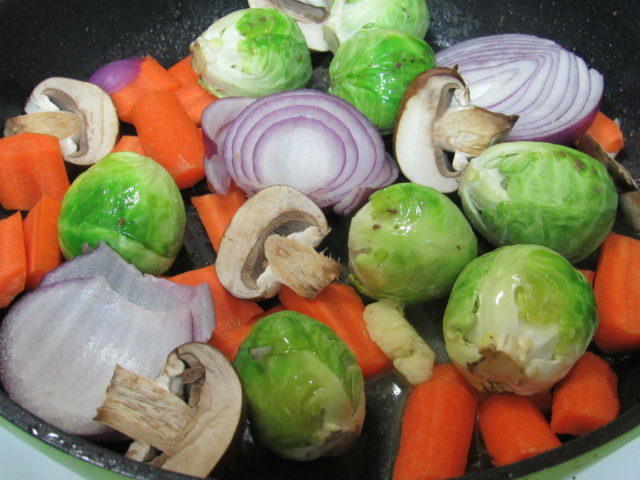 I am always looking for great slow cooker recipes! Pinning this for later thanks! This looks great! I love finding Amish roll butter. It tastes so good, and I love a meal in the slow cooker. Makes dinner so easy! HOLY MOLY this steak looks amazing!! I need to make this recipe ASAP!!! I bet this would be amazing on my mashed potatoes too!! I am going to have to try it! That sounds really good. I have been cooking a lot more lately, using my slow cooker and I love it. I have never tried Amish butter before. That would be different. This looks super delicious and hearty! I will look into that amish roll butter when we go to the Amish country next time. 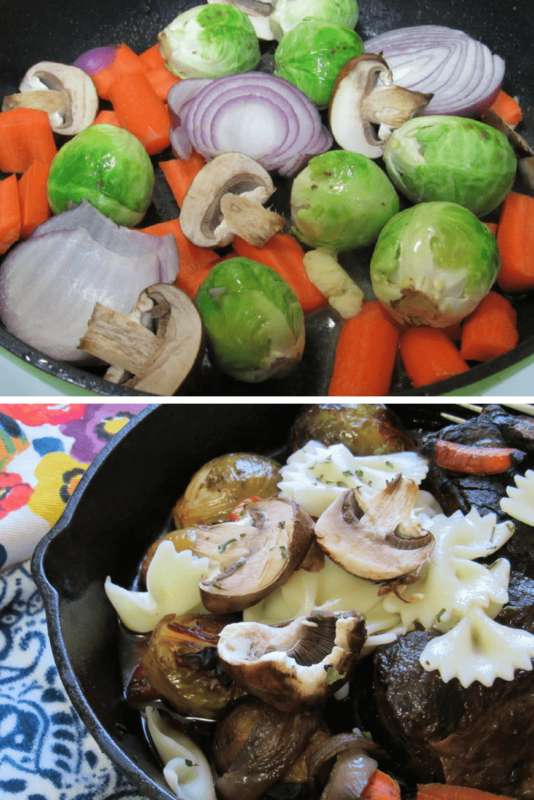 wow looks like an easy to make slow cooker recipe! i like it! Oh my! That looks soooo good! My mouth is watering at the pictures! 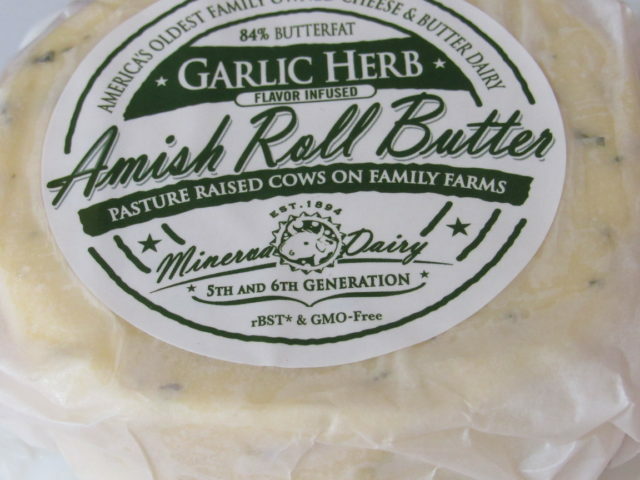 This is the first time I’ve heard about Minerva Dairy Amish Roll Butter. I am not sure if that is available here but I am hoping it is. The recipe looks really delicious. Now that is what I call a meal! i have not made steak in ages, but this recipe has me wanting some now. That Amish roll butter looks so good. Actually, this whole recipe looks pretty darn tasty! Yum! Now this is one easy dish to put together! I have been trying to avoid butter lately but this sure sounds so good. This is nice to serve in dinner parties. 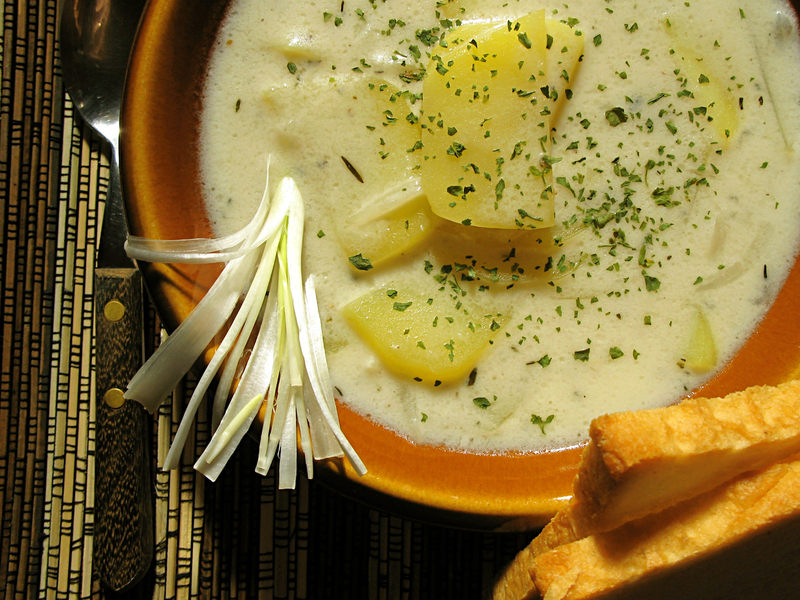 This is one hearty dish! I’m sure it’s perfect for colder nights. 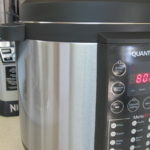 It’s really easy to make meals when you have a slow cooker in your kitchen! I absolutely love the combination of garlic and mushrooms! Bonus cause this is made in the slow cooker! Looks delicious – will try it out 🙂 And also healthy because of all the veggies! This looks delicious. 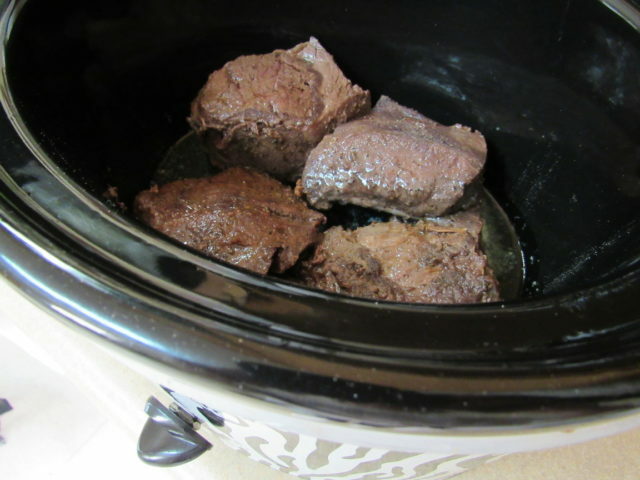 We love using our crockpot, especially during busy weeknights when we all are running around like crazy people! This is on our list! This stew looks absolutely delicious. I love the slow cooker- the convenience cannot be beat. I would love to try this delicious recipe. I love steak and this looks really tasty. It goes so well with veggies and pasta. It’s also easy to prepare. You can absolutely make this without mushrooms (I only add them to my side dish of vegetables and not the beef hanger steak). Two great alternatives to the mushrooms would be sweet potatoes, diced and peeled or butternut squash. I love to use my crock pot!! I have never made steak in my crock pot before, this looks amazing! That sounds delicious. 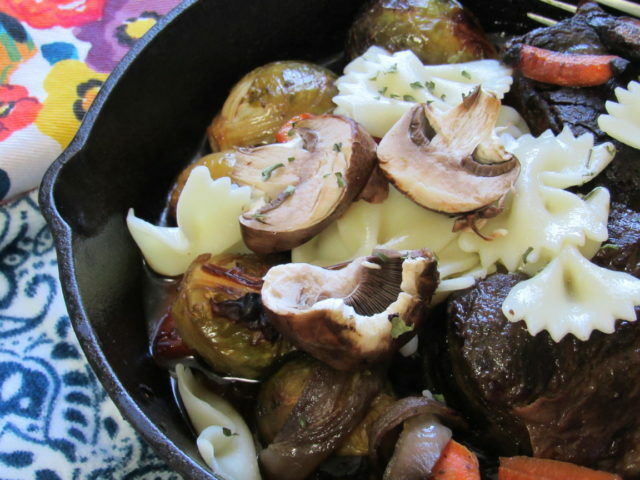 I just know that my whole family would love this meal (minus the mushrooms). Oh my gosh this is drool worthy! You have heaven on a plate there my dear and I want it! I will definitely be making this. You can buy it online. Isn’t that convenient? We love all the ingredients that goes into the dish. Using a slow cooker is always a plus. Nice to come home to a meal ready toast down too. This meal looks really good! I haven’t heard of the Amish Roll Butter yet, which is a surprise since I live in Amish country in PA! Will have to look for it.